Ronald Reagan famously once said, “the automobile made us free.” But increased costs and maddening traffic congestion have more and more people feeling like slaves to their cars. That’s one reason why Los Angeles plans 1,600 miles of new bike lanes in the next 30 years. Other considerations are reduced air pollution and better health. But for many drivers, bike lanes—and the cyclists who use them—are an increasing source of road rage. Cyclists say they have every right to share the same roads as cars and creating new bike lanes is necessary as L.A.'s population of cycling commuters steadily grows. Also, Long Beach wants to be “the most bicycle-friendly city in America.” A string of cities from El Segundo to Gardena and Torrance plan 213 miles of bikeways in the next 20 years. 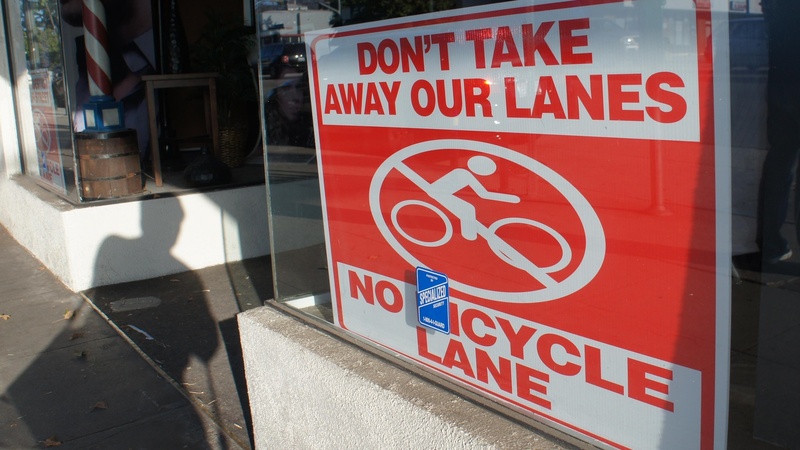 KCRW producer Saul Gonzalez found that’s making for conflict between drivers, cyclists, merchants, and residents. On our rebroadcast of To The Point, the US Senate made history of a kind yesterday by agreeing to a full debate on immigration reform. That hasn't happened in decades, despite a consensus that the current system is an ongoing disaster. The amendment process is already under way. We hear about today's action and the obstacle course that lies ahead.